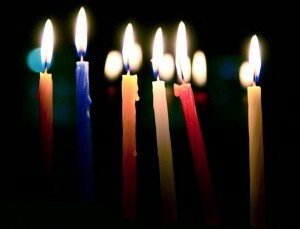 Celebrate Hanukkah at TBE with a special Shabbat dinner and Kabbalat Shabbat services. The festivities begin at 5:45 pm with a family friendly holiday dinner, which includes Chinese food, lots of latkes and fun-filled activities for children. At 6:25 pm, Natasha Fenster will lead a young children’s song and dance session. And at 7 pm, we continue the evening with a joyful Kabbalat Shabbat service featuring Cantor Fishman, our Religious School students and special musical guests. The cost for the dinner is $17 per adult and $12 per child age three to 13 (children under three eat free). There’s a $60 maximum per immediate family, which does not include grandparents and extended family. To RSVP for the dinner, click here. Prices increase after December 3, so please reply before then. For questions, contact the Temple at (203) 322-6901, ext. 306, or via e-mail.